Originally from Broken Bow, Oklahoma, Haley Storey studied massage at the Central State Massage Academy in Oklahoma City. When she was growing up in Broken Bow, she loved hiking and going crystal hunting, and both of these activities have remained some of Haley’s favorite hobbies. She enjoys hiking with her family at the Red Bud Valley Nature Preserve. In the future, Haley wants to visit Indonesia to explore its natural beauty. 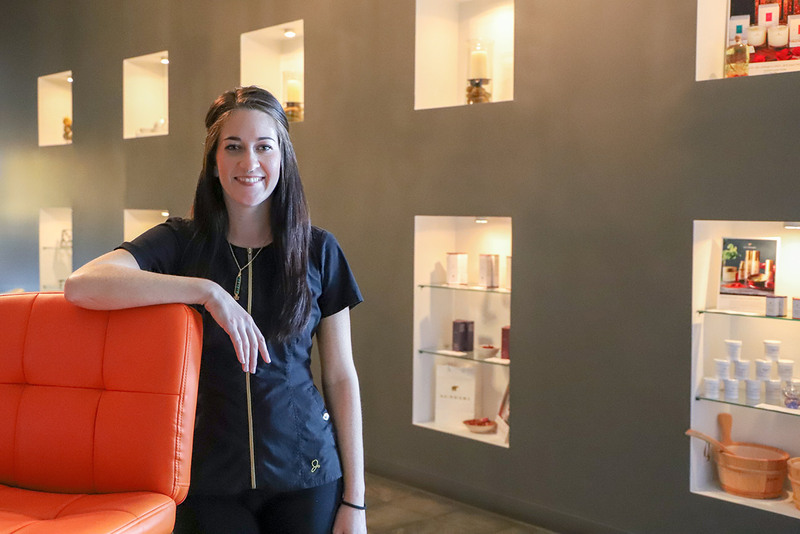 As a licensed massage therapist, Haley is dedicated to learning about each of her client’s unique needs so she can address them through treatment. She’s trained in a wide variety of massage techniques and encourages her clients to use the many amenities that SPA LUX has to offer, such as the steam room and dry sauna before each massage. In addition to massages, SPA LUX also offers waxing, facials, and more for a full body experience. Haley loves encouraging her clients to take advantage of the full body packages, where you can get a facial, body scrub, and massage all in one session. This experience is an amazing way to reduce stress and while getting numerous body benefits. Her favorite treatment to offer clients is the Muscle Meltdown massage. Haley cites this treatment as one of the most underrated at the spa and loves educating her clients on the benefits of heat for the muscles. Haley has gained many dedicated clients who understand the health benefits of regular treatment schedule. The Muscle Meltdown massage is a very deep Swedish massage that uses heat to relax the muscles and reduce tension. It can be experienced as a part of the Lavish Getaway Package, which also features a body mask and signature facial.